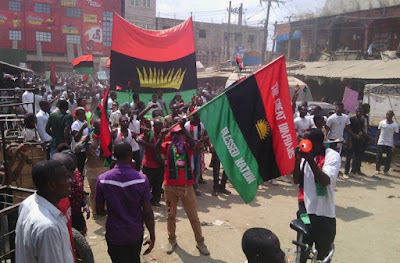 A video of armed members of the Indigenous People of Biafra (IPOB), hunting down Hausas in transports in the South-East, has surfaced on the web. In the clip, they are seen armed and investigating the transports looking for Hausas. Review that some Arewa Youth had issued a stopped notice to Igbos living in the north, before pulling back it later. IPOB members additionally conflicted with the Hausa community in Rivers State on Tuesday.